The Laguna Food Pantry was a beneficiary of the Laguna Board of REALTORS & Affiliates’ Charitable Assistance Fund’s 23rd Annual A Taste for Charity & Silent Art Auction, which raised more than $106,000. The Laguna Board of REALTORS & Affiliates’ Charitable Assistance Fund is a stand-alone nonprofit organization with its own board of directors. 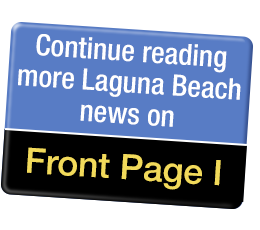 It was created in 2004 by the Laguna Board of REALTORS to help its own members and affiliate members who find themselves struggling economically, as well as others in the community. Every weekday, Laguna Food Pantry collects and distributes 4,000 lbs. of free, fresh groceries to approximately 80 families, half of whom have children. Located at 20652 Laguna Canyon Road north of the Dog Park, the Pantry is open from 8 to 10:30 a.m. Monday through Friday. It is run almost entirely by volunteers, and new recruits are welcome. For more information, call (949) 497-7121 or visit www.lagunafoodpantry.org.